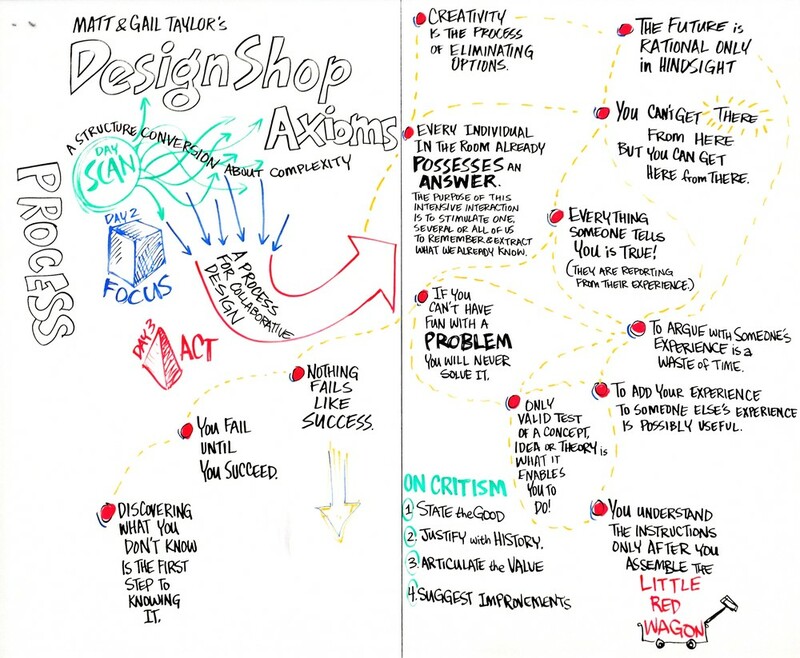 Matt Taylor described the genesis, intention and outcomes of the DesignShop Process. Linear thinking and traditional planning will only take us so far, so fast. In order to explore broadly and plan thoughtfully for the future, we need to be exposed to massively diverse ideas; to scan massive amounts of overlapping datasets, build and test prototypes; and design-build-test in rapid iterations. Axioms are statements or propositions that are regarded as being established, accepted, or self-evidently true. but you can get HERE from THERE. is the first step to knowing it. Everything that someone tells you is true. They are reporting their experience of reality. 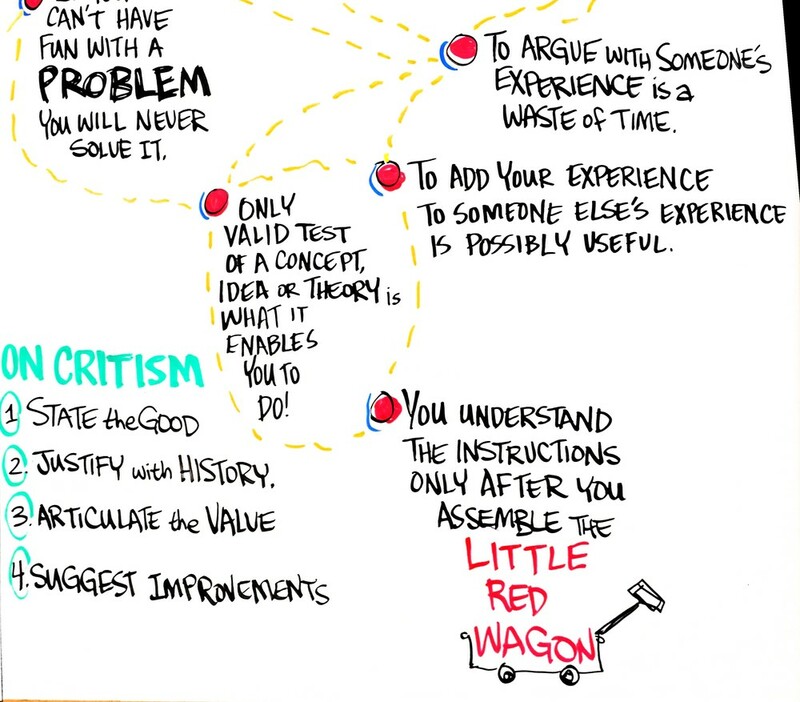 to create a new experience, is possibly valuable. is what it enables you to do. you have assembled the red wagon. Every individual in this room already possesses an answer. The purpose of this intensive interaction is to stimulate one, several or all of us to remember and extract what we already know. there are hundreds of good solutions.